Purpose-built to replace costly legacy measurement systems, high-accuracy Rosemount™ CT4400 Continuous Gas Analyser requires no consumables and minimises maintenance. In the midst of increasing compliance demands for emissions monitoring and nitrogen oxide (NOx) measurement in industrial applications, companies now have the opportunity to move beyond costly consumables and complex gas sample treatment associated with ageing, legacy measurement systems. 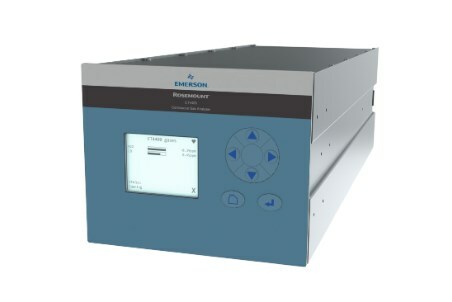 Emerson’s new Rosemount™ CT4400 Continuous Gas Analyser is the world’s first purpose-built Quantum Cascade Laser (QCL) and Tunable Diode Laser (TDL) analyser designed to help plants reduce ownership costs and report emissions accurately in environmental monitoring applications measuring standard components, such as nitric oxide (NO), nitrogen dioxide (NO2), sulphur dioxide (SO2), carbon monoxide (CO), carbon dioxide (CO2), and oxygen (O2).